Elegance awaits you! From the minute you walk in, you are greeted by the spacious and sleek design of this home. This magnificent townhouse boasts soaring ceilings, with custom lighting, rich espresso hard wood floors throughout, crown molding and pillared architectural features. This very open floor plan offers a chef's kitchen with custom cabinetry, stainless appliances, glass tile back splash and granite counters. The Great room features a wood burning fire place, crown molding and volume floor to ceiling retractable sliding doors leading out to the private travertine paved court yard and pool. The new salt water plunge pool has LED lighting for a late-night soak. The Master retreat has 2 walk-in closets, hardwood floors, a wood burning fire place, and a walk out balcony with nice water views and sunsets. The Master bath has a Jacuzzi soaking tub and large walk-in shower along with elegant cabinetry, granite counter and plenty of storage. Also on this level there is an additional 2 bedrooms with a finished attached full bath. Laundry can also be found on this level for convenience. 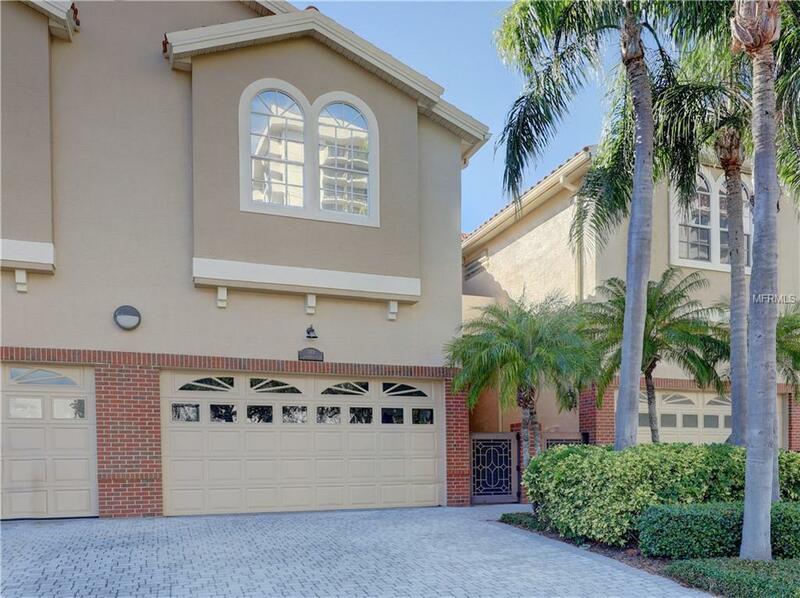 This home has an oversized 2 car garage for your kayaks, motorcycles, and water sport toys. This is a pet friendly building so bring the dog. Located on Island Estates, there are 2 banks, Publix groceries, fine dining, post office and gas station. This is less than a mile to the sugary sandy beach Clearwater is famous for. Home is Sold As-Is, Proof of funds with offer. Buyer to verify all measurements.